Some commuters don't think twice about catching a ride with a complete stranger in a slug line. A similar but more organized option for commuters is about to launch in the District. SideCar is a service where anyone can sign up to be a driver and some passengers don't even have to pay. It’s set to launch bu the end of the week. Drivers who want to be part of the operation have to pass a background check. 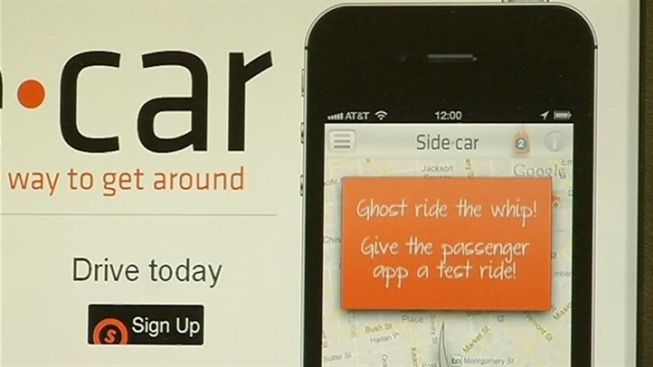 Once accepted, riders can track drivers using the SideCar mobile app. At the end of the trip, a payment donation is expected. Passengers will be able to see what a similar trip in a cab would cost. Pay too little or give no donation and you could get flagged as a bad customer. The company, which is already in operation in New York, Chicago and San Francisco, said it has provided more than 100,000 thousand rides without an incident. Ron Linton, head of the D.C. Taxicab Commission, said there could be some challenges with this new service. "It's going to take a little bit of discussion and legal research and things and [it’s] probably something that will wind up back at the city council," he said. For some licensed D.C. taxi drivers, the SideCar idea definitely doesn't sit well. They say such services hurt their business. Regardless of the safety and consumer concerns, get ready because the service is coming very soon. During the initial period the service will be offered Friday and Saturday nights from 5 p.m. to 3 a.m.